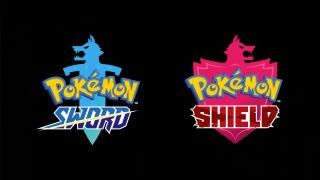 The Pokemon Company has announced a brand new pair of Pokemon Switch titles, which come in the form of Pokemon Shield and Pokemon Sword. The games are set in a brand new region called the Galar Region, which looks to be based on London, or at least the United Kingdom. Instead of the Trials format that Pokemon Sun and Moon introduced on Nintendo 3DS, you'll be going back to the Gym battling system of old, with your end goal being to become Champion. Three more of the Generation 8 Pokemon were also shown off, the three starter Pokemon. You've got the Grass Type chimp Pokemon known as Grookey, the Fir Type rabbit Scorbunny and the Water Type lizard Sobble. They'll no doubt join Meltan, the very first Gen 8 Pokemon, which was introduced through Pokemon Go. It'll be coming to Switch in late 2019, we'll no doubt learn more at E3 2019, but for now it's awesome to see the various new locations - and WEATHER TYPES - you'll be able to explore, from caves to little villages. It all looks utterly adorable.